(2002) "I Care 4 U"
"Miss You" is a song by American recording artist Aaliyah. Written by Johnta Austin, Ginuwine and Teddy Bishop in 1998 and initially recorded in the fall of 1999 for her self-titled third studio album (2001), the track remained unreleased. Instead, it was later included on the posthumously released compilation album, I Care 4 U (2002), serving as its leading single during the last quarter of 2002. The ballad received positive reviews from contemporary music critics and achieved a strong charting throughout Europe and other worldwide regions, reaching the top twenty in Belgium, Canada, Denmark, Germany, the Netherlands, and Switzerland. On the US Billboard charts, the song peaked on top of the Hot R&B/Hip-Hop Songs chart and reached number three on the Hot 100, becoming Aaliyah's highest-charting single after her 2000 number-one hit "Try Again" featuring Timbaland. The music video for the song was directed by Darren Grant and featured tributes by Aaliyah's friends and collaborators, including DMX, Missy Elliott, and Static Major. It received a nomination for Best R&B Video at the 2003 MTV Video Music Awards. Rapper Jay-Z made a tribute to Aaliyah using the "Miss You" instrumental and chorus for its official remix version in Summer 2003. "Miss You" was written by R&B singer Ginuwine, Johnta Austin and Teddy Bishop; produced by the latter, it was originally crafted for Ginuwine's second studio album 100% Ginuwine (1999). It was fall of 1999, and while Aaliyah was recording tracks for self-titled third album (2001) in the Manhattan Center Studios, she requested Austin and Bishop to play her a couple of tracks they had produced with other artists, including "I Miss You" for which Ginuwine had already lent his vocals. Bishop later commented, "She was like, 'I want to cut this record' [...] She got on the phone, called him and said 'Hey I know you cut this record already, but I would love to cut it'." Ginuwine, who was a part writer on the song, allowed her to cut her own version of it and the same night, Aaliyah re-recorded the whole track. Though she reportedly wanted to put the song out herself, Blackground Records, her label, felt the song was no "smash record" and thus, the song was left unused until her death in August 2001. Slant Magazine called the single "Aaliyah-lite". MusicOMH.com called the single the best new song of the album as well as stating "poignant lyrics ... mix well with a thoughtful, reflective, laid back tune." Allmusic—while mentioning the single with the song "All I Need"—said that they "don't have the edge of her classic Timbaland productions, but they stand up well — even when they're slotted next to the best songs of her career." 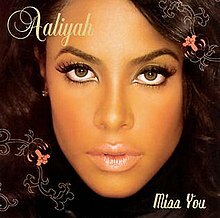 Michael Paoletta from Billboard praised both Aaliyah's vocals and the song, saying: "Miss You is yet another showcase of a talent that was taken too soon." He also said: "The singer's breathy alto floats over a sensual, bass-heavy track, courtesy of Teddy Bishop". Damien Scott from Complex felt that song "is a masterstroke in lovelorn yearning with Aaliyah spilling tears over a lost love. It made sense, then, that it was one of her last tracks, as it summed up the way her family, friends, and fans felt upon her passing". James Poletti from dotmusic described the song as "deep 'n' honeyed sweetness" and he felt that Aaliyah "evokes shuddering sensuality in every syllable". It debuted at number fifty-five on the Billboard Hot 100 and reached number three. It was ranked eight on the year-end chart of the Billboard Hot 100 and ranked three on the year-end chart of Billboard Hot R&B/Hip-Hop Songs. In the week of November 22, 2008, the song debuted at number thirty-eight on the Top Ringtone chart, over five years after its original release. The music video for the song was directed by Darren Grant and featured tributes by Aaliyah's friends and collaborators, including DMX, Missy Elliott, Toni Braxton, Tweet, Static Major, and various others. The video shot in two locations, Long Island City, New York, and Los Angeles, California. Tweet, Lil' Kim, Jaheim, and Lil' Jon were among those who came to the Long Island shoot. Jamie Foxx, DMX, and Ananda Lewis were some of the celebrities who appeared at the L.A. shoot. Between cuts clips from Aaliyah's early videos and her cameos in other artists' videos were used. Aaliyah merchandise (posters, jackets, and even a motorcycle) also appeared in the video. "Miss You" landed at #23 on BET: Notarized Top 100 videos of 2003. ^ a b c d "Interview: Radio Constantly Changes But Teddy Bishop's Ability To Diversify Allows The Quality Of His Music To Stay The Same". YouKnowIGotSoul.com. 2012-02-20. Retrieved 2012-02-22. ^ "Reviews & Previews". Billboard. Retrieved November 20, 2018. ^ "The 25 Best Aaliyah Songs". Complex. May 19, 2016. Retrieved July 20, 2018. ^ "Single Reviews Aaliyah-"Miss You". dotmusic. January 21, 2003. Retrieved November 20, 2018. ^ "Austriancharts.at – Aaliyah – Miss You" (in German). Ö3 Austria Top 40. Retrieved 2012-12-22. ^ "Ultratop.be – Aaliyah – Miss You" (in Dutch). Ultratop 50. Retrieved 2012-12-22. ^ "Ultratop.be – Aaliyah – Miss You" (in French). Ultratip. Retrieved 2012-12-22. ^ "Aaliyah – Chart history – Billboard". Billboard. November 8, 2015. ^ "Danishcharts.com – Aaliyah – Miss You". Tracklisten. Retrieved 2012-12-22. ^ "Euro Chart Hot 100" (PDF). Music & Media. 2003-02-01. p. 11. Retrieved January 1, 2018. ^ "Offiziellecharts.de – Aaliyah – Miss You". GfK Entertainment Charts. Retrieved 2012-12-22. ^ "Nederlandse Top 40 – week 10, 2003" (in Dutch). Dutch Top 40 Retrieved December 8, 2017. ^ "Dutchcharts.nl – Aaliyah – Miss You" (in Dutch). Single Top 100. Retrieved 2017-11-26. ^ "Swedishcharts.com – Aaliyah – Miss You". Singles Top 100. Retrieved 2012-12-22. ^ "Swisscharts.com – Aaliyah – Miss You". Swiss Singles Chart. Retrieved 2012-12-22. ^ "Aaliyah: Artist Chart History". Official Charts Company. Retrieved 2017-11-29. ^ "Aaliyah Chart History (Hot 100)". Billboard. Retrieved 2011-05-05. ^ "Aaliyah Chart History (Hot R&B/Hip-Hop Songs)". Billboard. Retrieved 2011-05-05. ^ "Aaliyah Chart History (Pop Songs)". Billboard. Retrieved December 23, 2015. ^ "Aaliyah Chart History (Rhythmic)". Billboard. Retrieved November 29, 2017.